Gentiana verna - Carinthia (Austria). 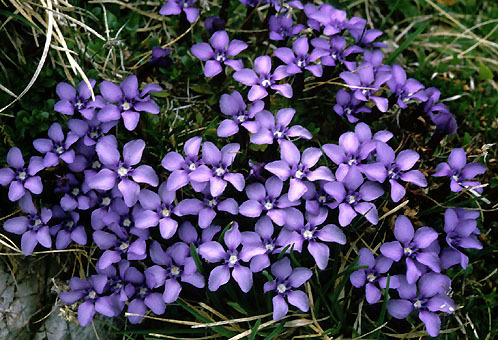 The ever-popular Spring Gentian has an enormously wide distribution in Europe and Asia. Colour variations occur very often in the wild.